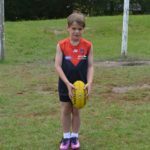 If your child has started playing AFL, or wants to start playing, then there a many ways you can help to develop their game. 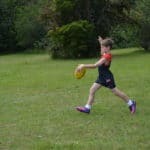 Whether your child dreams of being the next AFL Superstar or you just want to help improve their footy, developing the correct kicking technique should be a focus. No parent wants to see their kid getting upset or frustrated because they are struggling to kick the ball in a game or at training. Sportsguru’s celebrity kid kicking coach Jacko Kicko explains the main steps for the perfect kicking technique in his easy to follow video. 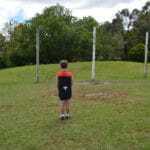 In the early stages of your child’s skill development and journey into playing AFL footy you must be careful not to be too critical, or get too caught up in technique. Yes it’s true you don’t want your child to develop bad kicking habits at an early age, but you also don’t want to take all the fun out of footy by making everything feel like practice. 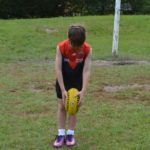 If your child is anywhere from 4-9 years old and is just starting to play AFL footy, encourage them to handle and kick the footy around as much as possible. Create fun games that you can play together or they can enjoy with their siblings or friends. 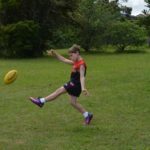 Simply kicking the footy regularly will build their coordination and help them develop their own natural style. By incorporating this into a game they will not think of it as practice, because practice is often avoided. It will be seen as fun with their friends and family and will create a pure love for the game which is more important than anything else. Once your child gets older and has enough coordination to kick the ball consistently, you can begin to work on their technique including their run-up, ball drop and follow through. Great video Jacko and even better technique. I will take you tips on board and pass it on to my young chargers. Well done and thank you.